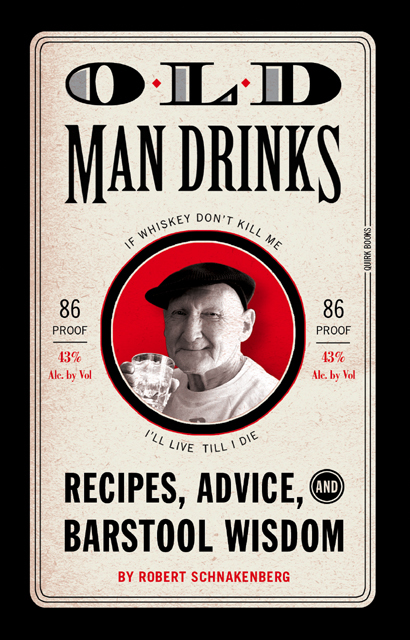 The above quote is one of dozens of pearls of wisdom found in Old Man Drinks: Recipes, Advice, and Barstool Wisdom, a nifty new book by Robert Schnakenberg (The Encyclopedia Shatnerica, Christopher Walken A-Z). Old Man Drinks is a cocktail recipe book with a twist: in addition to classic cocktail recipes that range from the Algonquin to the Whiskey Sour, Schnakenberg has gathered “real-life quotes from real-life old men,” accompanied by black and white photos of said gentlemen by Michael E. Reali. After receiving a review copy of Old Man Drinks from Quirk Books, the first thing I noticed was the wide-ranging list of cocktail recipes. 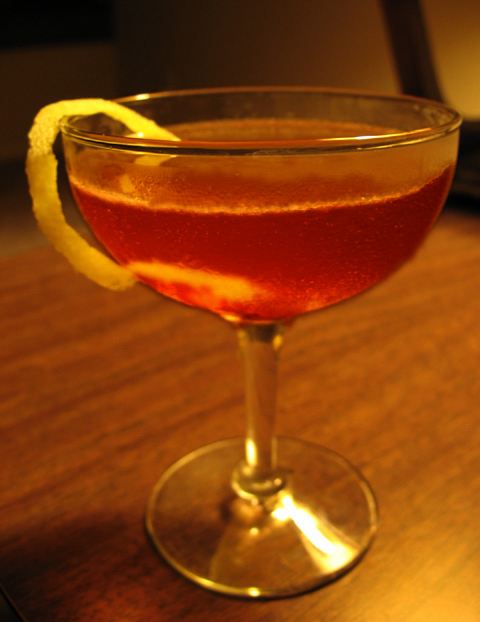 Besides barfly drinks like Boilermaker, Rusty Nail and Scotch and Soda, cocktail enthusiasts will be pleasantly surprised to find recipes such as Aviation, Clover Club and Vieux Carré. Schnakenberg also writes brief histories for each cocktail with a mix of humor and detail that newbies and historians alike will appreciate. Whether you’re just discovering classic cocktails or a veteran mixologist, you’ll find Old Man Drinks to be a useful and enjoyable read. It successfully bridges the gap between novelty and serious recipe book, and is certain to find its way into many a home bar collection. In his introduction to Old Man Drinks, author Robert Schnakenberg has this to say about rye: “the quintessential old-school whiskey whose very odor on the breath calls to mind your grandpa passed out on the couch at 2 a.m. on Christmas Eve.” It’s as if he’s predicting my future. Schnakenberg notes that the Old Pal cocktail is one of the first recorded recipes that lists Campari as an ingredient. Combine liquid ingredients and stir with ice.